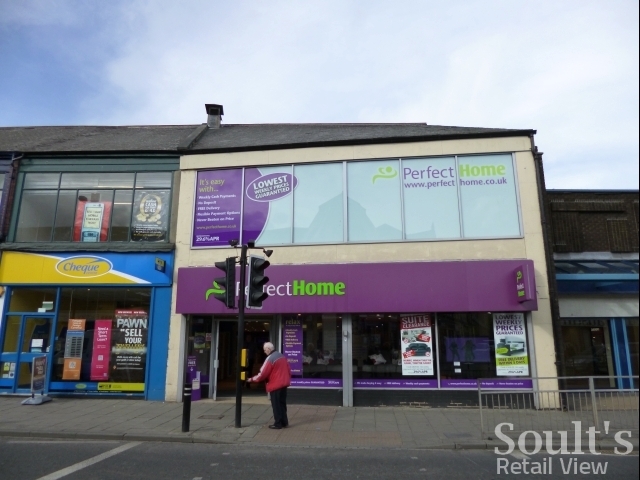 Over the last few weeks I’ve highlighted some of the North East towns – including Houghton-le-Spring and Alnwick – where Woolworths originally opened in one location only to then relocate its store to a new site in the 1950s or ’60s. In many cases, I’ve only discovered this in the last few weeks, where my recently acquired 1957 Woolworths stores list gives a different address to the one with which we are usually familar! 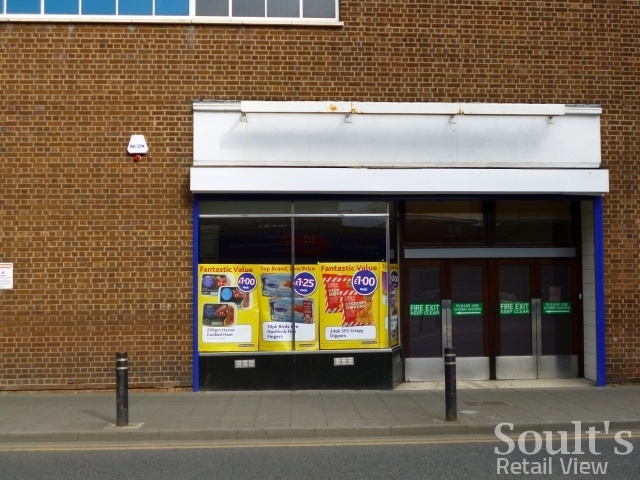 One such place is Wallsend (store #351), where Heron Foods has been operating from the latterday ex-Woolies site at 2-4 High Street East since November last year. As elsewhere, Heron has retained Woolworths’ distinctive 1960s shopfront, and the side door section (below) – with black granite stall riser, wooden doors and cream tiling – is virtually unchanged from how it would have looked half a century ago. 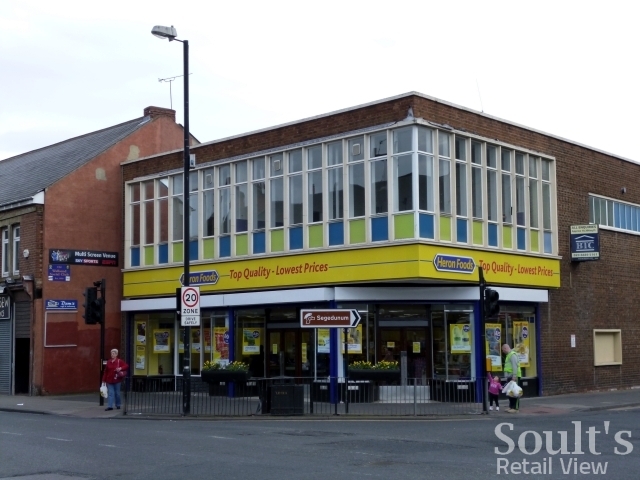 I hadn’t realised, however, that Woolworths had only traded from that particular site since 29 January 1959, and that the original Wallsend Woolies – opened on 20 April 1929 – was elsewhere in the town. 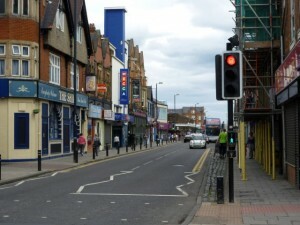 Interestingly, the 1957 stores list shows that Woolworths had already acquired the £28,000 freehold of what it calls the “Site at Station Road and High Street” by that time, going on to develop its new purpose-built store there at the same time as trading from its original leased premises up the road. 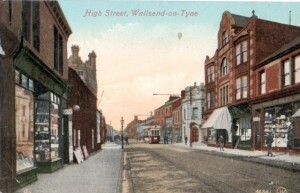 While three corners of the High Street and Station Road crossroads seem to have hosted rather grand properties – two of which survive today – my impression from looking at old photos (such as the early 1900s view below) is that the Woolworths site was previously occupied only by low-grade single-storey buildings. I suspect that a little more research will be needed to understand why the site was historically so underdeveloped. 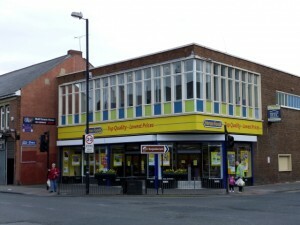 So, what of Wallsend’s original Woolworths? 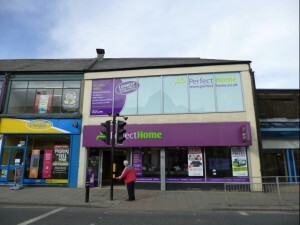 Well, the 1957 stores list reveals the location to be 73-75 High Street West, which accords with the location of today’s PerfectHome shop. I haven’t yet come across any photographs showing Woolworths in this location, but the age of the present building suggests that it’s the same one that Woolies would have occupied all those years ago. Its survival is quite fortunate, given that all the rest of the stretch between there and Station Road was later demolished to make way for the Forum Shopping Centre. When I first started photographing ex-Woolies in 2008, the 807-strong store estate seemed like a very ambitious and long-term target. 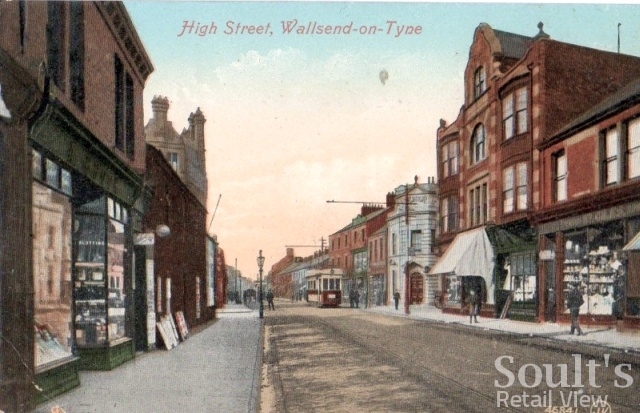 Subsequently, of course, I’ve uncovered more and more locations, like Wallsend, that were vacated many years earlier due to relocation or closure. 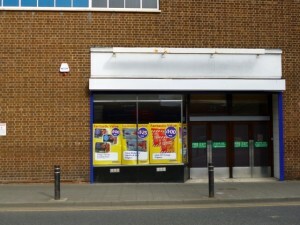 My reckoning is that in total there must be over 1,400 former Woolworths locations in the UK, of which I’ve snapped just over 200 – or one in seven – over the last three years. 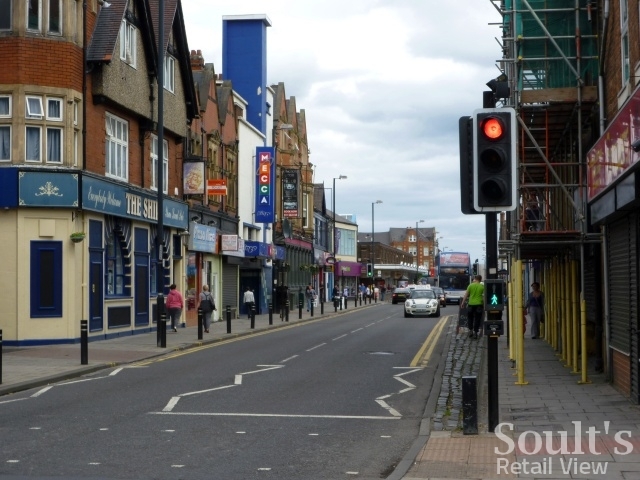 Come back to Soult’s Retail View in 2030, therefore, and you might find I’m mopping up the last few! I went to the Western Secondary Modern on Rutland Road until 1960 and believe the old Woolies was located adjacent and on the the high street entrance to Forum. the new woolworths was built on a rectangle of land that was covered in grass and where every year the town Christmas tree was located. I lived in Thames street east from 1947 to 1960 and often visited the old woolworths. I also went to St Columbas School with Arthur Reed, The old Woolworths was where you have pictured. There was an alleyway through to it from a field, and a pub in the alley, cannot think of the name. You walked down the alley and straight over the crossing. You could be right! The only evidence I have is the address – 73-75 High Street West – but there’s always a possibility that the street has been renumbered since. What I really need is a photo showing the original Woolworths in situ!